Death is inevitable. In the wee hours of Wednesday, it was the turn of Aloysius Katsina-Alu to heed its call. Katsina-Alu, one of Nigeria’s most eminent jurists, died at Chida Orthopaedic Hospital, Gudu, Abuja. He was the chief justice of Nigeria from December 30, 2009, to August 28, 2011, having succeeded Idris Legbo Kutigi. Katsina-Alu — who is said to be the first person from the middle belt to serve as CJN — began his career some 51 years ago when he was called to the bar. He rose to the pinnacle of the nation’s judicial hierarchy, earning fame and national renown along the way. Born on August 28, 1941, in Ushongo local government area of Benue state, Katsina-Alu attended RCM Primary School, Aduku; St. Ann’s Primary School, Turungwa and St. Patrick`s Primary School, Taraku. He also attended Mount St. Michael’s Secondary School, Aliade, where he obtained the Cambridge School Certificate. He later enrolled at the Nigerian Military Training College, Kaduna, in 1962, from where he moved over to Mons Military Training College, Aldershot, England. What many do not know about the former CJN is that he had been in the military arena before proceeding to study law in the university. In a 2017 interview, President Muhammadu Buhari narrated his experience with Katsina-Alu and other trainee soldiers during a field exercise in the course of their military training in Jos. The president had said: “We were in Jos. Again, I was made a leader of a small unit. We were given a map … you find your way from the map; you go to certain points and on those points, mostly hills, you climb them and you will get a box. His interest in a military career was short-lived as he returned to the country to pursue a degree in law at the Ahmadu Bello University, Zaria. In 1964, he proceeded to the Inns of Court School of Law, Gibson and Weldon College of Law, School of Oriental and African Studies, University of London, in furtherance of his legal studies. He was called to the English and Nigerian bars in 1967 and 1968 respectively. His career on the bench began in 1979 when he was appointed a judge of the Benue state high court, from where he was elevated to the court of appeal in 1985, and made a justice of the supreme court in November 1998. His career was not all bed of roses as he had his own share of controversies. Katsina-Alu’s swearing in as the CJN was deemed illegal by many Nigerians because it was done by Idris Legbo Kutigi, his predecessor, whereas the constitution stipulates that it is only the president or acting president that can carry out the ritual. Umaru Musa Yar’Adua, who was president at the time, was away on medical vacation and did not hand over to Goodluck Jonathan, his second in command, before leaving the country. The development had raised many questions as to whether Kutigi was qualified to swear in Katsina-Alu as the CJN. Many insisted that Jonathan should have been saddled with the responsibility – although he was not serving in an official capacity as acting president. Should he have stood in for Yar’Adua or was Kutigi right to step in? Debates about the legality of the event persist till present day. In December, it was reported that the special presidential investigation panel for the recovery of public property gave Katsina-Alu 21 days notice to vacate his Abuja residence. The panel led by Okoi Obono-Obla had asked the former CJN alongside other prominent Nigerians to forfeit their houses to the federal government for illegally acquiring them. 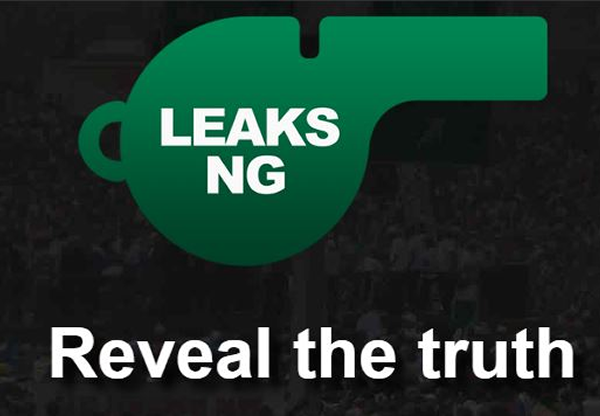 Daily Trust had reported that they acquired their then-official residences as private properties without the due process of competitive bidding, which is contrary to the provisions of the public procurement act. Others who were also given the eviction notice include Ike Ekweremadu, deputy senate president, Dimeji Bankole, former speaker of the house of representatives and Usman Bayero Nafada, a former deputy-speaker and a current senator. It could, however, not be confirmed whether they were later evicted from the houses. A tragedy which befell the family of the Katsina-Alu in 2011 almost claimed his life but he made it out alive. His wife, unfortunately, did not. A branch of a Melina tree was said to have fallen on him and Mimi, his wife, at their country home in Alu, Ushongo local government area of Benue. The then-CJN and his wife were reportedly sitting outside their residence which is surrounded by trees when the incident happened in the night amid a heavy wind. They were both rushed to the hospital where doctors confirmed the wife had already died. Seven years after that tragedy, he has now joined his wife in eternal rest. One of the stormy moments in the career of the former CJN was his running battle with Ayo Salami, a former president of the court of appeal. Salami later filed a legal action against Katsina-Alu, and other parties including the NJC, alleging that the former CJN asked him to compromise the court of appeal’s verdict on the controversial Sokoto gubernatorial legal tussle by either disbanding the original panel involved in the case or directing it to give judgment in the governor’s favour. The NJC had described the allegation as false and had directed Salami to tender written apologies both to then-CJN and the body. Salami was later suspended under controversial circumstances.